Just 45 minutes outside of our capital city, Quito, is an oasis of country living where the mysteries of the highlands unfold, and that seems a complete other world. Palugo or Casantopamba de Palugo is a small farming community. The Palugo Farm is an integrated community with dairy farming, sustainable agriculture, ecological and educational activities & tours. Each activity working together in harmony to complement and nourish each other. 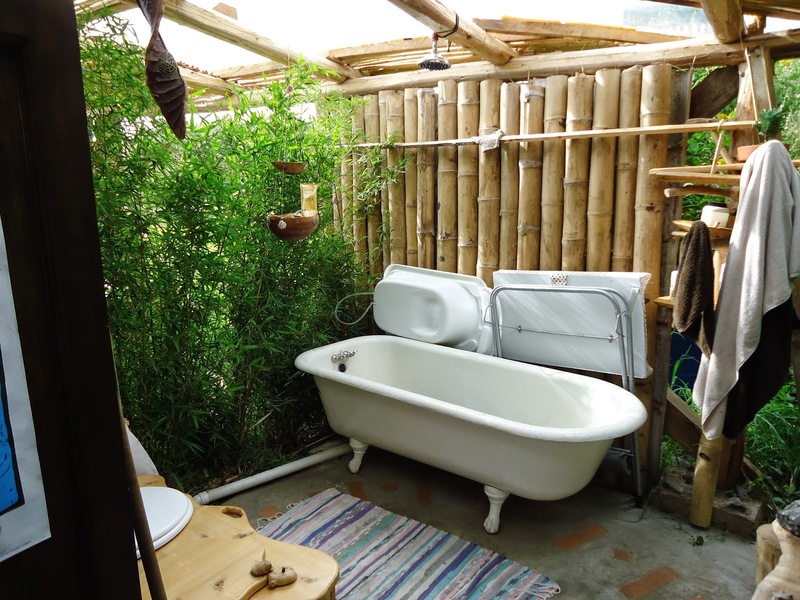 The oasis's family share a common vision where it is essential to live an inter-connected existence with everything around, and most importantly in accordance to the needs of the earth. Operating with a mission to re-enforce the connection between human beings and their environment. This connection allows us to make appropriate decisions about the future for the coming generations, so that we may once again coexist in harmony with our planet earth. " tread upon the earth more lightly and work to nourish instead of deplete its resources." 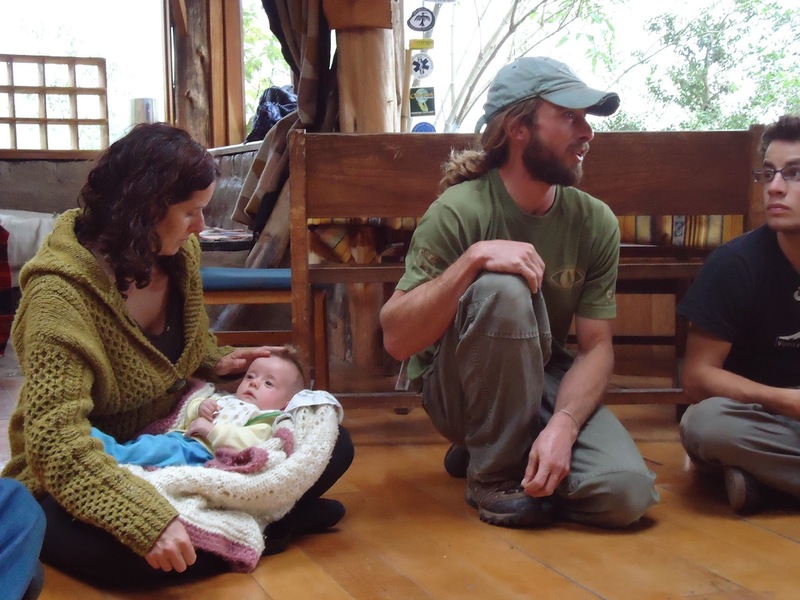 The Dammer family have done a magnificent job of bringing their individual agricultural, ecological, and sustainable living interests together in a collective living community which is ecologically sensitive, and sustainable. Our visits have been heartwarming and very positive experiences. Grandfather Dammer immigrated from Germany with his parents in the 1930's and established one of the first breweries in Ecuador. He married an Ecuadorian woman whose family had the farm. He rented and managed the farm for many years. His son Francisco Dammer, a visionary agronomist, went to Gemany to study Agriculture in University. When he returned in 1975 he bought a section of the farm and founded Palugo Casantopamba. 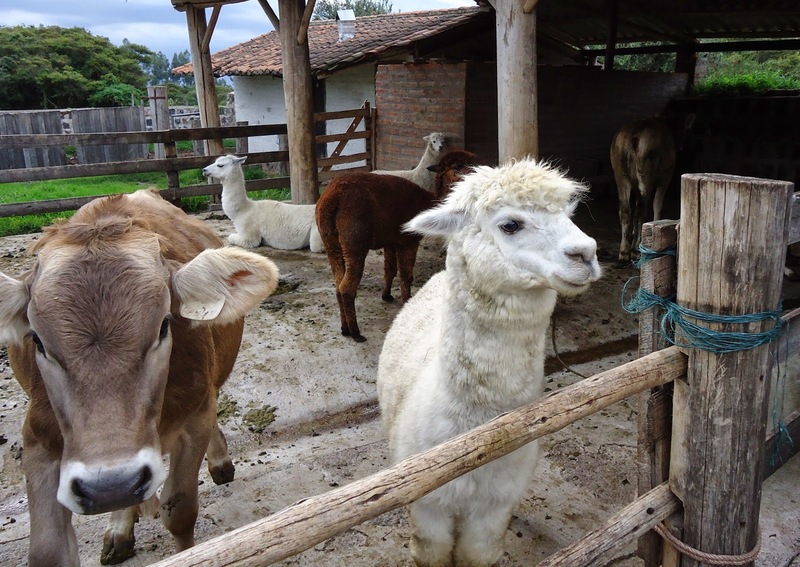 He devoted his life to the development of livestock and agriculture in Ecuador, working with the farmers of small farms in the surrounding foothills. He imported Brown Swiss dairy cattle from both the US and Europe establishing a quality breeding reputation internationally. 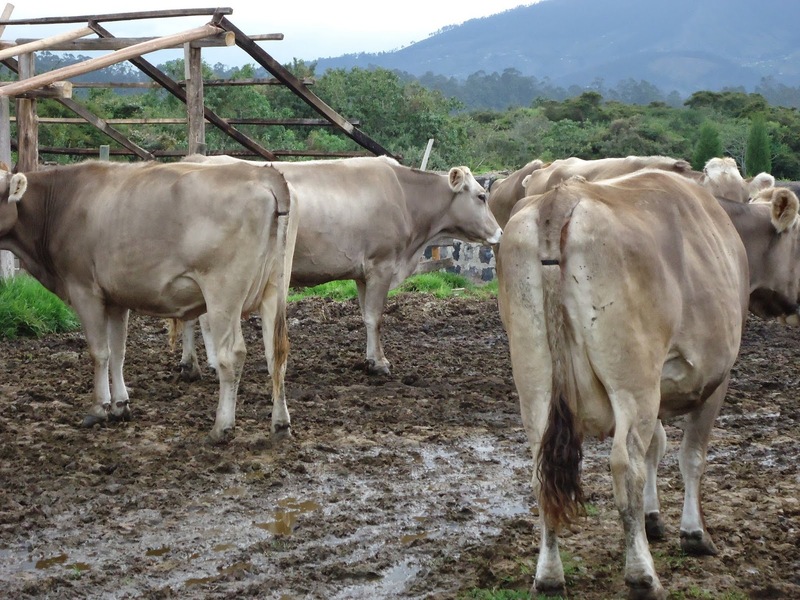 Following many years of hard work he is known for the finest quality Brown Swiss stock in Ecuador, and there is a room full of awards and trophys to confirm. He received the "Galo Plaza Lasso Award" for his valuable contributions to agriculture & livestock sector in the country. 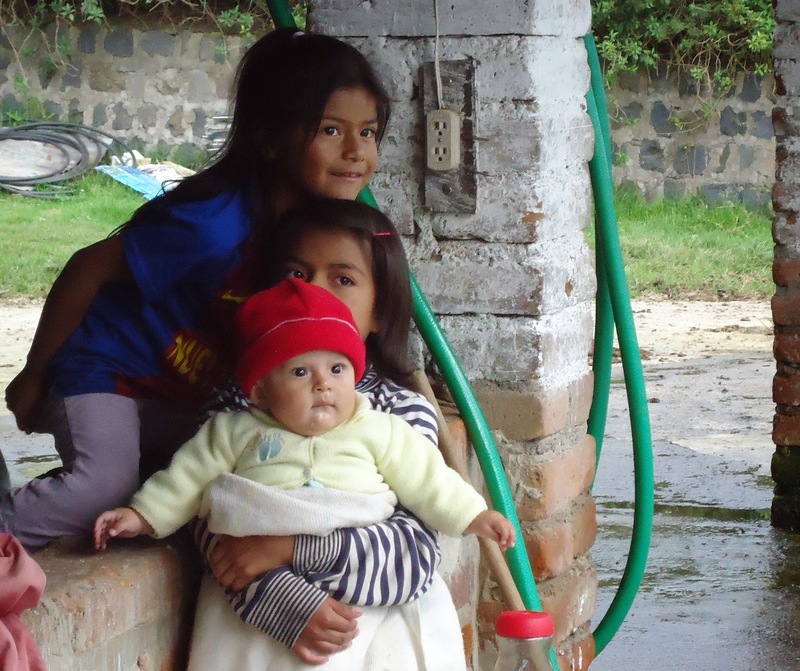 Francisco and his wife Adela had three sons born in the Andes. Third generation Michael and his brothers Thomas and Mathias grew up on horseback, helping their parents on the family farm. 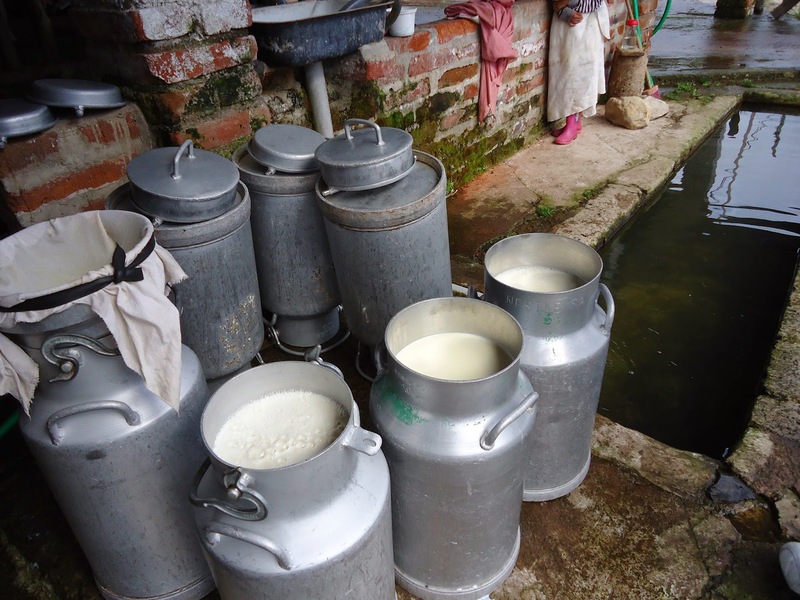 During their childhood their father, Francisco transformed the traditional hacienda into a progressive and profitable dairy farm that has since supported a village of indigenous people. Farming, long days filled with hard work, is not easy, especially when faced with difficult economic conditions. The traditional farming activities reached a point where they were no longer economically viable. Michael, Thomas, and Mathias drew on their educational training, creative resources, and individual talents & passions to brainstorm & breathe new life into the farm. 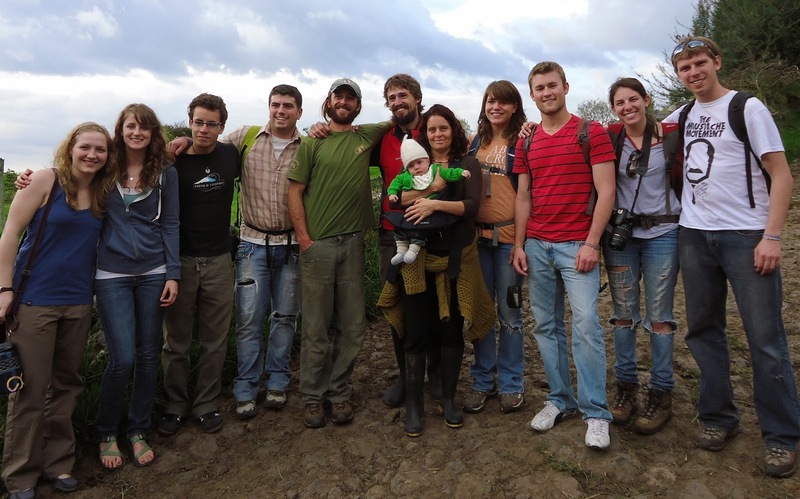 They diversified the traditional dairy farm with both vertical and horizontal opportunities to include sustainable agriculture, ecological and educational activities & tours. In a small room attached to the barn of the farm, weekly cheeses and yogurts are processed. Permaculture agriculture now includes raising guinea pigs, alpacas, horses, and chickens using natural environment practices. Free range animals provide quality manure composted into fertilizer for their organic agriculture gardens. The organic produce operation known as Nahuco delivers fresh organic produce, eggs, cheese, milk, yogurt, & chickens to 30 families each week. Other handmade products from the farm include "Yuyos" a small company dedicated to creating high quality craft products for medicinal goods. Using herbal extracts and delicious flavors, Yuyos has a range of products varying from medicinal teas, ointments, creams, minerals and echinacea vinegars. Yogini yogis produces a variety of relaxing and toning oils, offering a line of body care products and mineral baths. 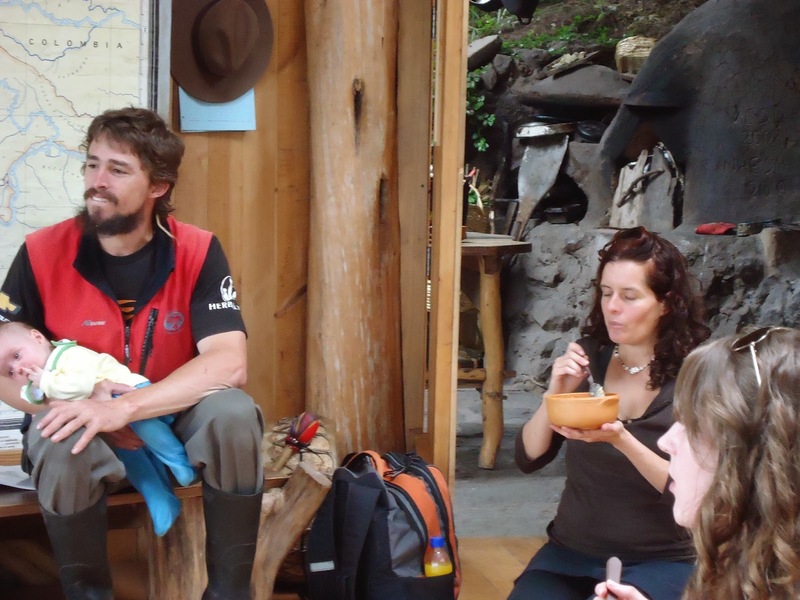 Combining their Adventure Guide training from Thompson Rivers University in Canada with their passion and interests they founded Nahual. 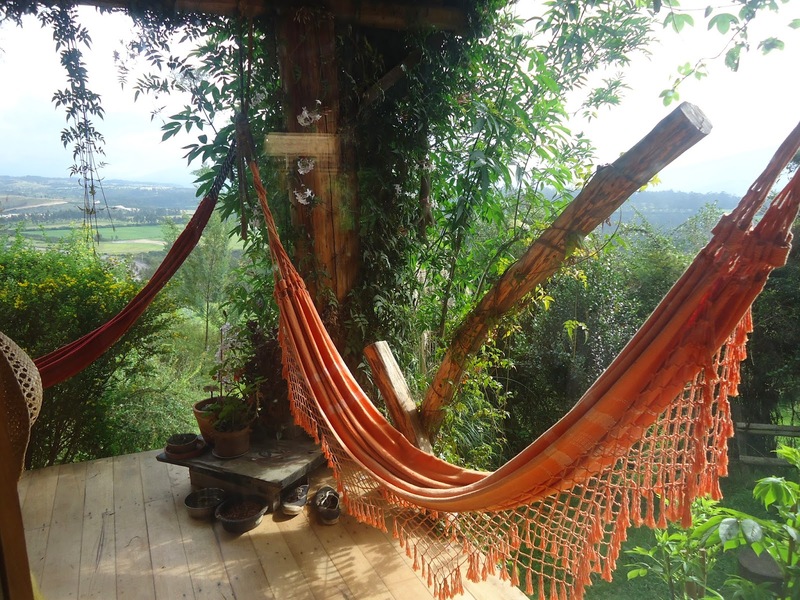 Nahual is an outdoor education & mountaineering school whose objective is to offer children, adolescents, and adults a space to experience and learn through adventure sports, outdoor and wilderness living. It is their hope "that they will take us by the hand and help us, and themselves, expand our potential as human beings." The Mountain School is led by Sebastian Carrasco a professional mountain guide and avalanche control expert in both Ecuador & Argentina. The school provides highly technical climbing courses along with guiding expeditions. Group activities, adventure sports, organic agriculture and magic of cooking over a campfire and sleeping under the stars enable participants to learn about themselves and the natural world around us. There is space for art and creativity – teaching and design in clay, paintings, and wood. "Skilled natives, craftspeople and old time farmers will teach us about practical designs and architecture, local materials and hand tools. We will make Penco(Agave) drums, whose sounds reveal the mysteries and influences of Andean music. 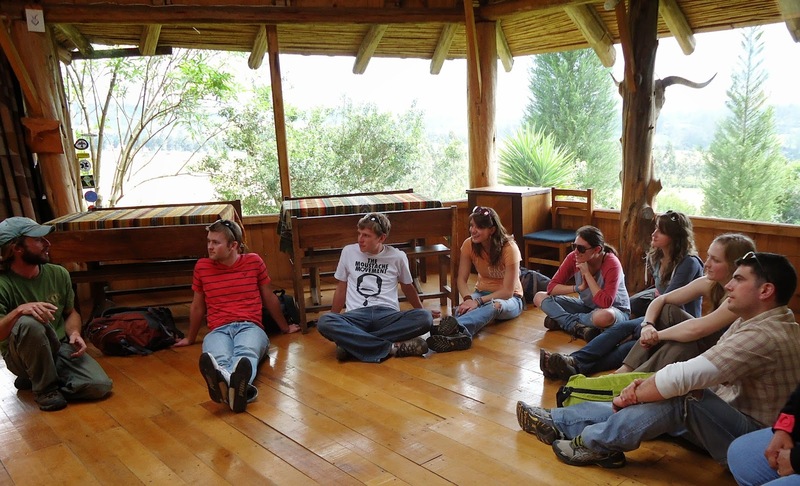 We will learn about the ecological and economical value of native plants and their products. Our felted vests from local sheep wool will keep us warm in the coming weeks. We plant, harvest, milk and collect eggs. 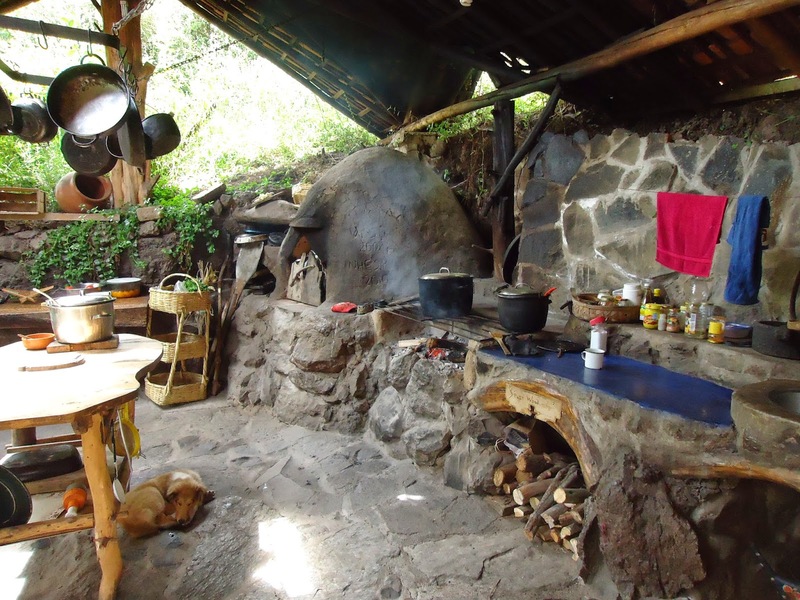 We learn how to use animal products, how to cook simple meals, make yogurt and cheese and bake bread in our hand made clay oven. After a month of living in the Highlands, we will prepare our packs, pull out the compass and venture over hilltops across the Eastern Andes following the watercourses that feed the rivers of the Amazon Basin. We will have the opportunity to experience the living history of indigenous Amazon tribes. We will learn about trees, roots and vines for the purpose of building the frame of our cataraft, which will carry us to the remote village of the Shiwakotcha natives. The indigenous people will teach us about life in the jungle. We pole and paddle a dugout canoe; we ride the river, fish, gather food and learn to identify plants and how to use them. We study the history of the nomadic tribes, and the Amazon River's ecosystem, ecology and ornithology. We will look at the impact of the modern world and the oil industry on the Amazonian Tribes. The contrasting realities of Ecuador and New England will open our eyes to the needs of people in the developing countries and the positive role we can play in bringing about change. "The Final Expedition..." For many weeks, the glacier-covered volcanoes will have provided us with water for living, farming and paddling. These giants, connected with the soul of the Earth are responsible for the shapes and the richness of the Inter Andean Valley. At 19,200 feet, Mt. Cotopaxi is the highest active volcano in the world. 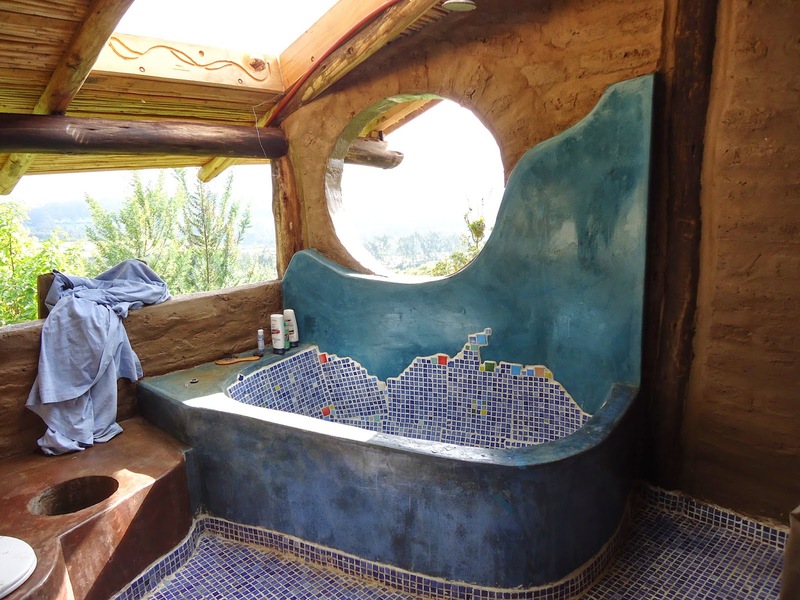 Its base is about 35 miles away from Hacienda Palugo. Its summit will be our final destination. Our handmade backpacks will be filled with the food we have harvested. Our bodies will be strong from the daily work on the farm and our travels to the jungle. We will climb the mountain listening to the rhythm of the kena. Upon our return to Palugo we will reflect on our experiences by preparing a theatrical presentation for the community, our family and friends." Fransisco & Adela, Thomas & Marcea, Michael & Marcela, & Mathias & Nicole form the core team. Currently the young parents are rearing the fourth generation at Paluga. This core team both live and work in Palugo and are deeply committed, and inspired, by the idea of creating a better world for the generations who follow. solar energy water heaters, wind energy, composting toilets are all employed to reduce the living footprint on the environment. Each of the Dammer brothers homes is uniquely created to reflect their individualism. Construction is another of Thomas's passions and he just finished hand building his beautiful wood and adobe house. You can take the Pifo bus leaving from the Terminal Rio Coca – about 45 minutes. Or driving head east from Quito on the road to Pifo. Once past Pifo, turn right at the Sangolqui/Papallacta fork. Continue for 2 km and you will cross a stream. The farm is located behind an old stone wall fence on the left. Further down the road about 20 minutes drive as you enter the Amazon basin is Papallacta Hot Springs. 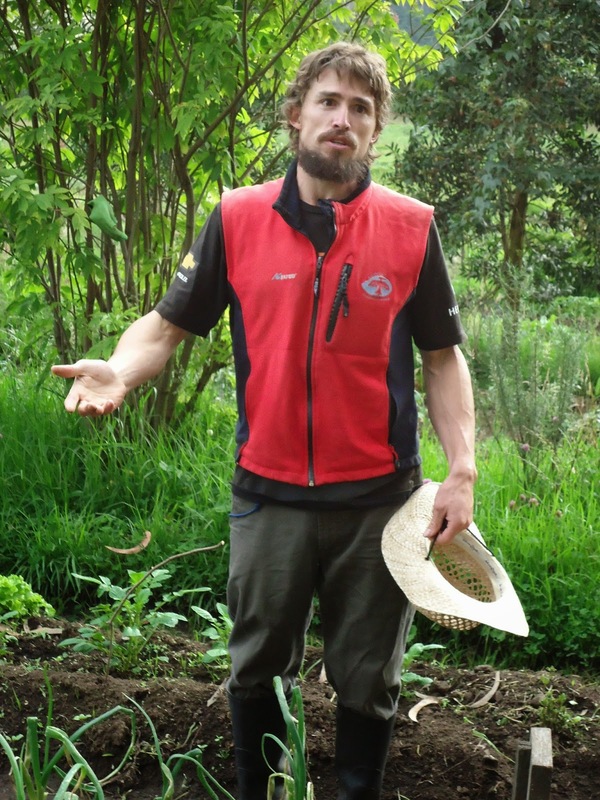 I'm interested in WWOOFing and was wondering if we could email each other?